One of my grilling favorites. The meat is flavored with grated onion, salt, and pepper and grilled. 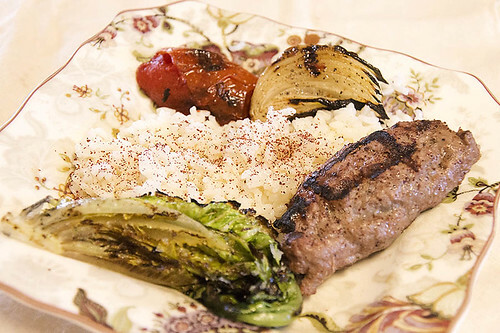 Koobideh kebab served with rice, onion, tomatoes and romaine lettuce.